Want to run remote startup team? Here are eight field-tested tools to help you boost productivity and keep everything on track! Remote work is becoming more and more popular, especially among small and medium-sized companies – even startups have noticed that the remote formula is a great solution when you are bootstrapped business. You can hire people from any country in the world finding the best people to fit the position and culture and save money on office rent. When managed well you can get a much more productive and work devoted team compared to a traditional office-set company. Successful remote teams admit that running in remote-mode relies strongly on good communication (we will show you tools for that!) and easily accessible technology to help you keep track of everything. 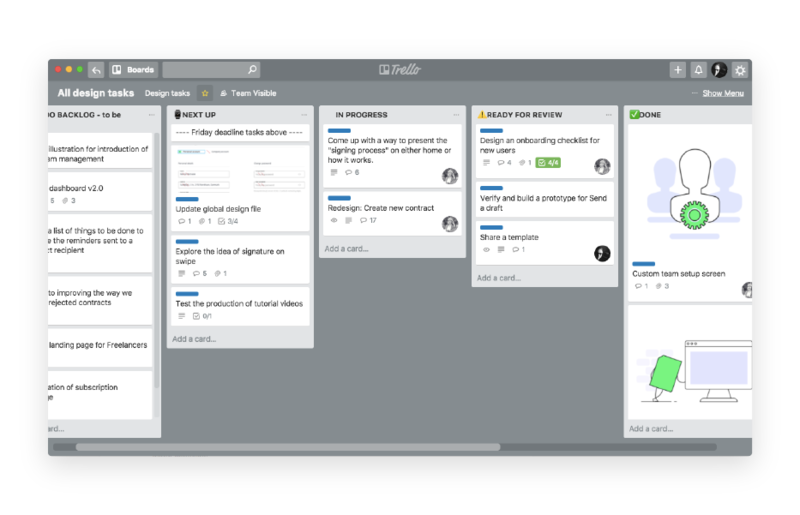 There is a variety of different online tools to help your team stay productive and successful. 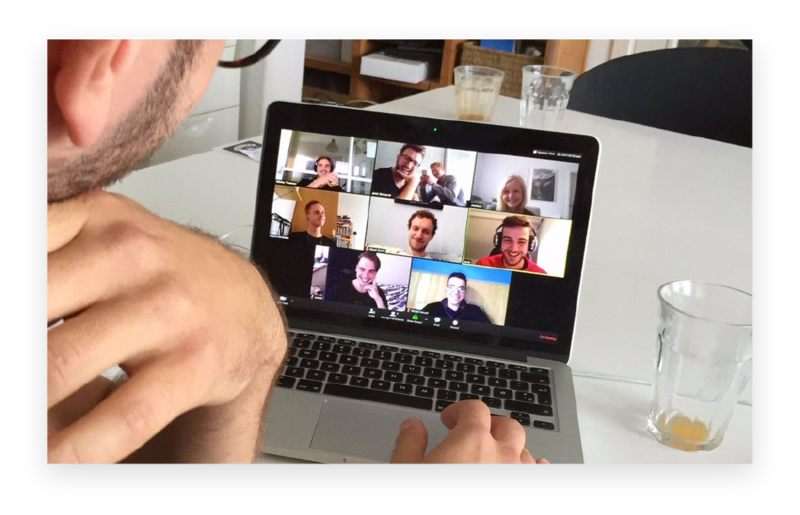 As Contractbook was built by a remote team, we have quite a bit of experience to share. Here is our field-tested list of best free online tools for remote companies. We cannot imagine our work without Slack. It is a free to use (for small teams) communication tool which allows you to chat with other team members, upload and share files, start video and audio meetings, and invite your clients to private channels thus keeping the majority of communication in one place. Remote teams often have members from different time-zones so written communication is essential. When you are offline, all conversations are available in the history. As soon as you are online again you can go through it and get back on track! With a huge library of different integrations, you can easily connect Slack to other tools building solid and valuable Remote Team Headquarters. Although Slack is a great tool for chat-conversations there is often a need to “save” some thoughts and data you want to keep for the future. You could easily go with Google Docs but we prefer Quip which works much better for our workflow. You can easily create folders and different kinds of documents like text-documents and spreadsheets. 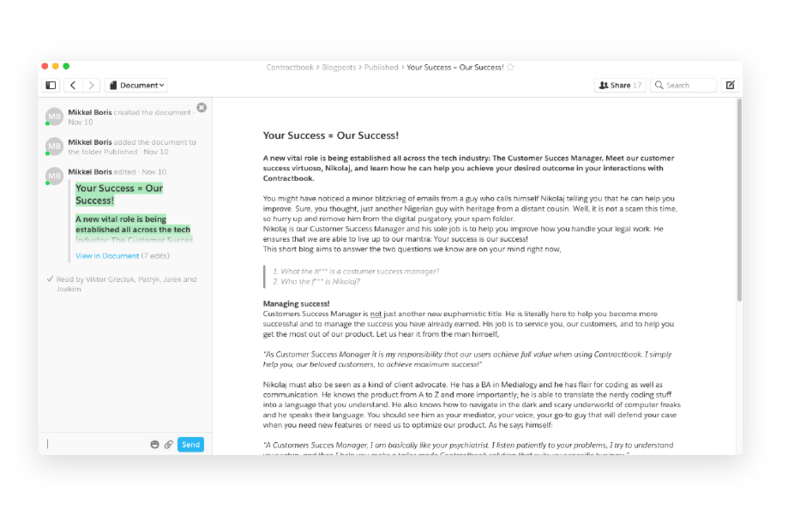 Quip also allows you to add in-document conversations, so when working on any task, we can @mention other team members and discuss the problems directly in the document. The conversation remains for everyone else which is perfect for transparency. Remember Comrades, Communication is King! As stated above, communication is king. Sometimes chat-conversations are not enough and a video call is required. Although Slack offers video and audio calls we have found Zoom much more efficient when it comes to performance on weaker machines, especially when you are screen sharing. It is an awesome online tool for remote teams to see and hear each other. Definitely worth checking out! Running any company means signing and sending multiple contracts. Things become complicated when you are a remote team and hire people from different countries. Imagine sending, printing, scanning and sending back, for example, an NDA across Europe — a complete nightmare! 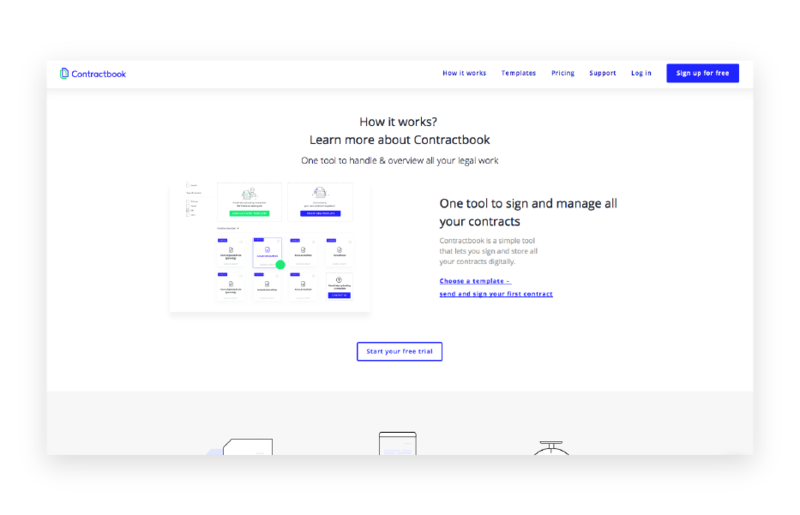 That is why we have built Contractbook. If you have ever thought of making your legal work digital and keep it safe in one place, just try it and you will be more than charmed! Especially when the GDPR will come to EU in 2018. Remote teams run on time! Most remote startup companies charge their clients or pay their employees at an hourly rate. 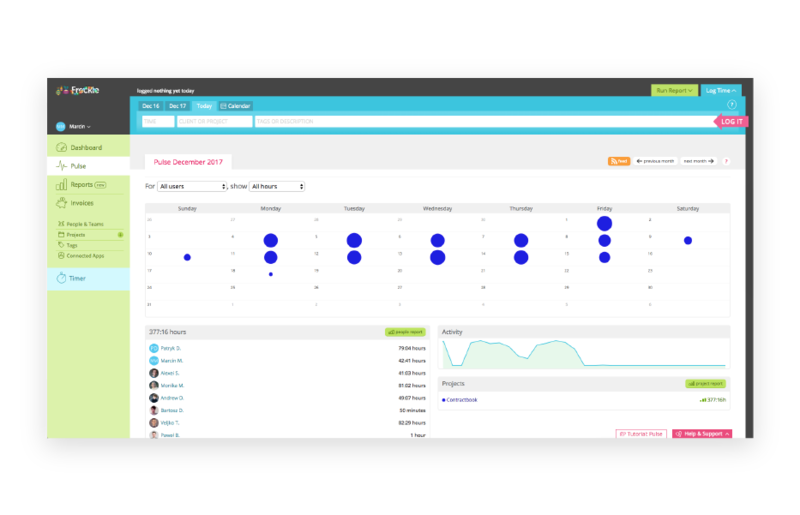 We have been using Freckle in order to keep track of time for quite a long time now and it definitely works well. You can create different projects, track time of each task and in the end generate reports of how many hours were spent during a specific time period. Then multiply the amount by your hourly rate and send an invoice. How simple is that?! Let us simply agree there is no better way to handle your email than having a Gmail inbox. 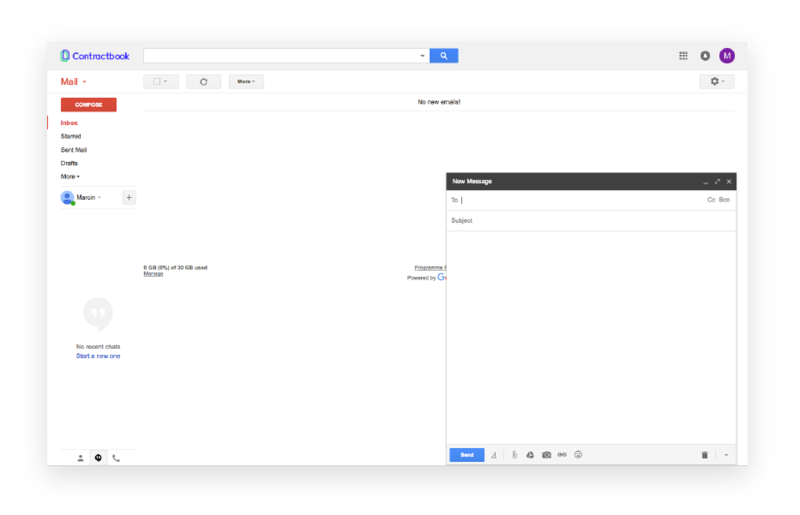 When considering Gmail as your company’s mail provider you should definitely think about paid option – G Suite plan which allows you to “white-label” the inbox, add your own domain and manage all users in one place. No matter what you are doing, you will be generating files. The best way to keep them safe is to save them in the cloud. There are plenty of “Cloud Storage” solutions and we have chosen Dropbox because it is simple and intuitive. The file sharing with your clients is extremely easy. Running email marketing manually seems pretty undoable. That is why we are using Mailchimp to send valuable, contract related articles. We also use it to achieve customers service at the highest level by sending product updates to our dear users. 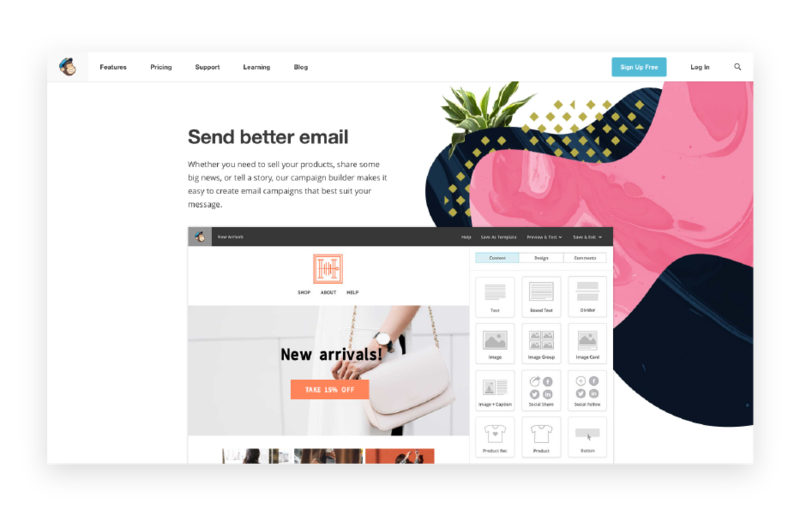 Mailchimp is free, very easy to start and by using their guides you will create your own email templates in a relatively short time. Oh, and it looks cool! This is our basic stack of tools we use in our remote team. We cannot imagine our work without them and we strongly advise you to check them out (or share the enthusiasm with us if you already do!). 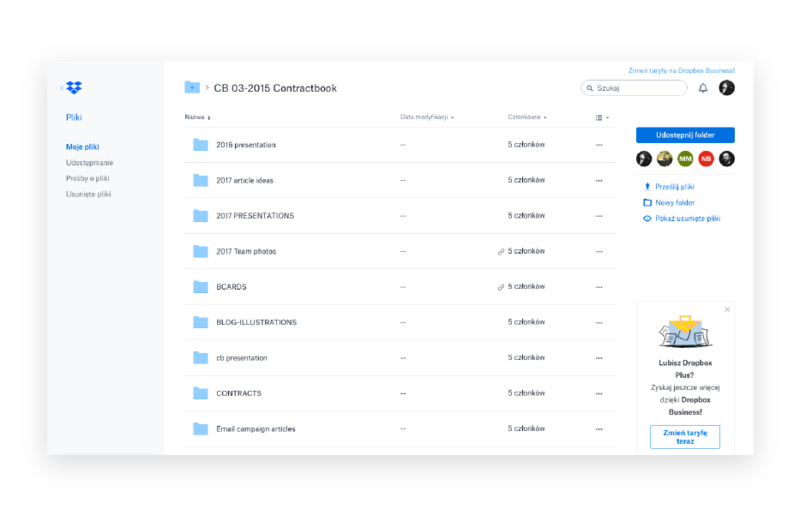 Keeping a remote company well organised and structured is much easier when you have tools like Dropbox and Contractbookfor files, documents and contracts. 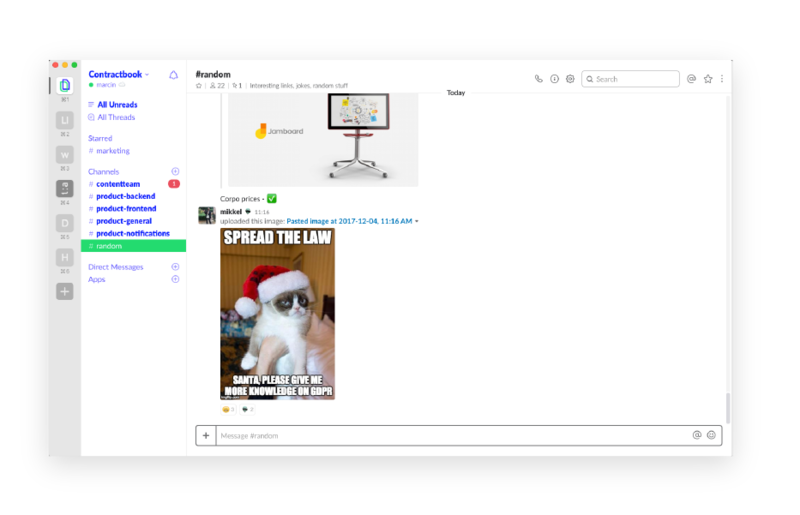 Written communication can be kept in Gmail, but transforming mailing habits into chat-conversations with Slack would give a lot of value when supported by Zoom’s video and audio meetings. And remember, time is money so you better track it right with Freckle!